Just wanted to let you know that I am working on another memoir! Some of you may have read my 2015 post A Journey of Self Identity. An elusive sense of self is something I occasionally grapple with. This new memoir is about the Autism Spectrum again. Themes are not having a sense of identity, masking, recreating myself and gender dysphoria. 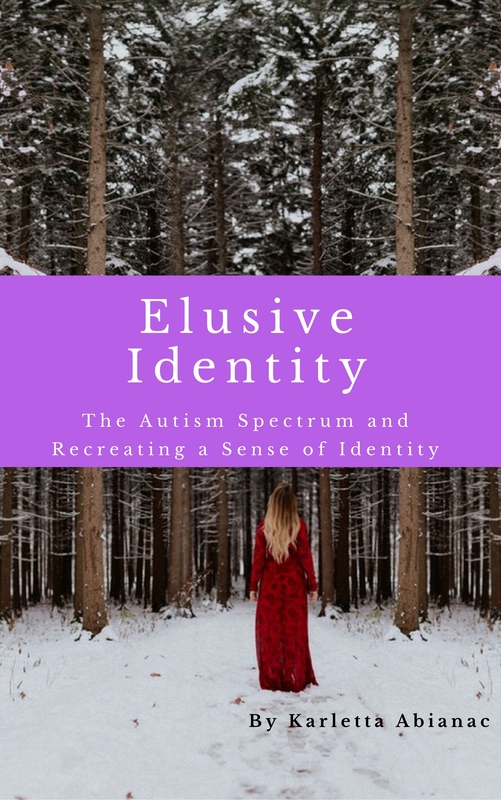 It is called Elusive Identity: The Autism Spectrum and Recreating a Sense of Identity. You can pre-order your electronic copy of Elusive Identity on Kindle. It is part of the “I’ve been there too darl” series. The raw draft had notes, chapters, bullet points and a fair bit of repetative text. I spent time in August editing the manuscript. I culled a lot, and ended up with a much cleaner, 5,000 word document. The book developed a different structure than I initially mapped out, but thats kinda the point. I think of outlining as getting the concepts onto the page. Then I can start writing the text as a draft, revising as I go. I have organised the book with final chapters, themes and personal stories. In September I hit 13,000 words for draft 1. Each chapter now contains between 1-2000 words of freeform writing. In September I put the manuscript up for pre-order on Kindle. That gives me three months to complete it. I’m super excited to say that draft 1 is now finished! It’s gone out to a few people for their feedback and constructive criticism. If you want in, just sign up to my mailing list and click the Beta Reader box. It would be nice, but I’m undecided if I will again be publishing experiences from Aspie women. You would have to have been through a specific set of circumstances. You would need to have been in the gender reassignment program or identified as another gender – and returned to your birth gender. I think that some of the subject matter will be controversial, and there would be a few conversations between us before your experiences are published. If you are interested in providing feedback on an advance copy of Elusive Identity, please join my eMail list. Make sure to tick the box “I want to be a Beta Reader”. This memoir, Elusive Identity, is now available to pre-order. The Kindle publication date is 1st December 2017. Its pretty exciting! Thanks for reading, and I hope you enjoy the memoir.